Newest tale of Hokage the Samurai is Now Available! “Shadows and Hellfire” — the third tale of the samurai Hokage and his shape-shifting companion Sasa — is now up on Heroic Fantasy Quarterly! You can jump straight to my tale by going here: http://www.heroicfantasyquarterly.com/?p=1293 — but do give the rest of the issue a look! And remember, you can find the previous tales by poking around in their archives, or by going to the page on my website devoted to the Hokage tales. An Uncommon Collection is Here At Last! 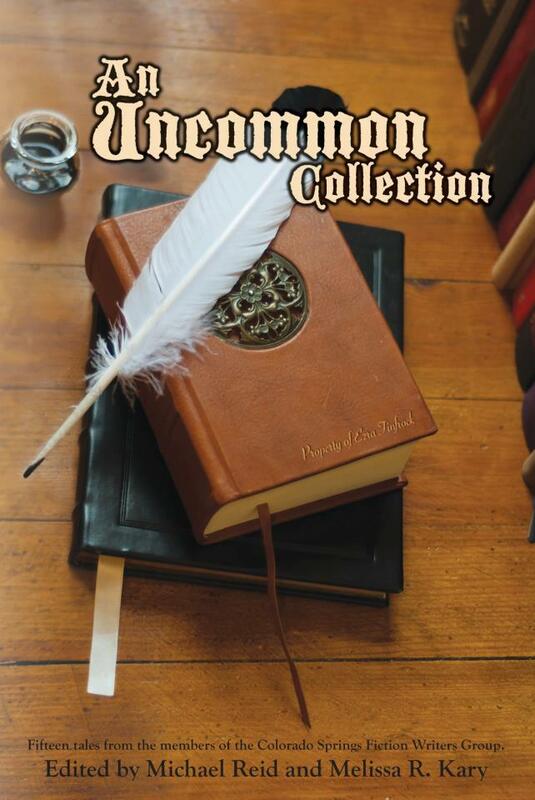 The Colorado Springs Fiction Writers Group’s first anthology, An Uncommon Collection, is now available from Amazon.com! The anthology revolves around a mysterious bookstore and its eccentric proprietor, Ezra Frinfrock. Also featured are 14 other tales by other members of the Colorado Springs Fiction Writers Group.